as mentioned in my previous post, i went a little crazy on the dips for quesadilla dinner last week. 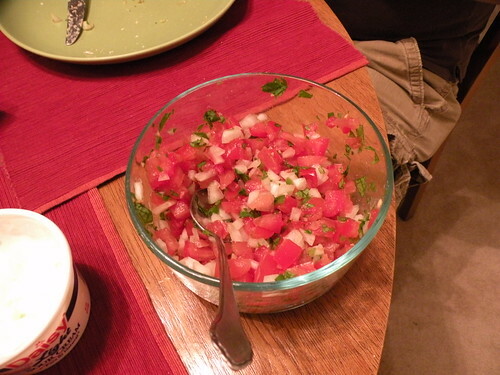 pico de gallo is very simple to make and this is just one example of several variations. This recipe makes about a cup and a half of pico. Multiply as needed! Combine all ingredients in a bowl. Serve immediately. For better flavoring, refrigerate for a couple of hours.